41medical develops solutions from the clinical problem to approved medical products according to ISO standards and MDD. Our proprietary solutions or our contractual developments can be handled in working packages, going as far as 41medical acting as the legal manufacturer. 41medical benefits from various expertise along its development process. 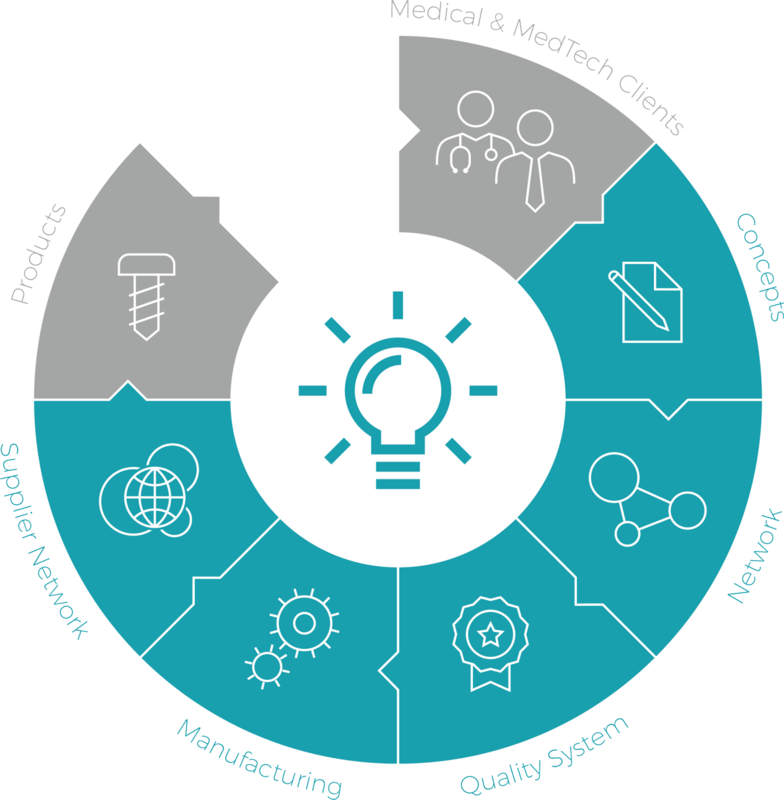 At 41medical, the innovation and lean process PRAGMATISIMO™ for a new product is handled in flexible work packages that can be individually purchased and ended after each phase. R&D, manufacturing and quality engineers are involved as a cross functional team along the whole product development process. Planning from an idea to a finalized prototype. Effective project start and user requirement definition including regulatory activities. Prototype verification according to predefined user requirements and design freeze. Development and production of a first device lot and zero series. Validation and verification activities, device industrialization and completion of all regulatory documentation. .
Submission for CE marking to notified body. Product delivery and Post Market Surveillance.